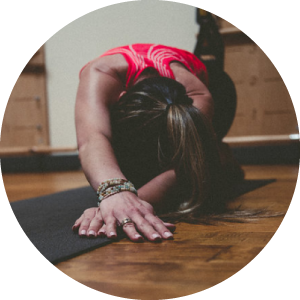 Save $100 on 1st Five Classes! Change Your Body With Private Pilates Lessons — And Save $100! Whether you’re starting your Pilates practice to build core strength and stability, to rehab an injury or recover from surgery, or to improve your athletic performance, Pilates private sessions are a great way to start. At Studio Blue, your private Pilates lessons are held in an intimate, comfortable setting. You won’t be in a big room filled with other clients and their trainers. It’s just you and your Pilates instructor working together to meet your goals in a fully private setting. What should you expect from a private Pilates session? Expect to communicate, listen, get corrections, and receive feedback from your trainer and expect to move from the very start! You’ll perform the order of exercises while your trainer cues you toward correct form, breath, and alignment. A brief postural analysis is conducted and progress is marked on your client record at every session. Every body is unique. Private sessions allow instructors to focus on your specific goals and your body’s needs and abilities. In a private session, your instructor may use a variety of Pilates apparatus including reformer, cadillac, chair, barrels, mat, TRX, etc., to provide the most appropriate exercises for your body and goals. Duet Privates (semi-private sessions for you and spouse or a friend) are also available and can be an ideal (and cost effective) way for two to work out together who are of similar physical ability and want more personal attention than in a group class. We also offer a special Introductory Duets package that saves you $35 per person on your first 3 Duet sessions. You’ll get 3 private duet sessions for just $100 per person! You suffer from chronic pain and have tried other methods such as physical therapy, chiropractic, massage, acupuncture, surgery or other medical treatments to alleviate the pain and are not seeing improvement. You want to intensify your mat workouts. You prefer one on one coaching. You want to try the Pilates machines. You’re recovering from an injury or surgery. You have specialized needs that cannot be addressed in a group class setting. Remember, it’s all about you! We’ll tailor a Pilates workout for your exact needs! Call us at 503-224-5073 so we can find a time that works for your schedule and discuss your unique needs and goals, and make sure we schedule you with a trainer perfectly suited to meet your needs. If this will be your first visit to Studio Blue, plan to be here 10-15 minutes prior to the start of your session to fill out a New Client Registration form. You can also download the form here and bring it with you if that’s more convenient. Please note: we will need a valid credit card on file, or a current introductory package before your first appointment. There is a free parking lot located underneath our studio at 2232 NW Pettygrove, in between Overton and Pettygrove. Please wear form fitting, comfortable, stretchy clothing that will allow your body to move freely and lets your instructor see your posture and alignment. We believe in providing hands on instruction and your instructor may make slight corrections and adjustments during class to help you get the maximum benefit from each exercise and to ensure you are doing each exercise safely. If you need to cancel a private session, please call or email us at least 24 hours prior to the start of your class or session or the session will be charged in full. Your medical insurance may cover your private Pilates sessions! While we do not file medical insurance claims, we can provide your insurance company with your progress notes, session records and billing records if Pilates is covered. If you are being referred to Pilates from your physicial or physical therapist, make sure to call your insurance provider to see if you are eligible for reimbursement. Many employer FSA’s (Flexible Spending Accounts) can also be used to pay for your Pilates sessions, so check with your Human Resource department as well. Our early cancellation policy for private sessions is at least 24 hours prior to your appointment time. After that, you will be considered a “late cancel” and subject to the full session fee. If you “no show” your appointment you will also be subject to the full session fee. We look forward to meeting you and welcome to our Studio Blue family!